Aircraft brokers are available all over the internet. But how many of those brokers are full-time professionals? How many of them have home offices located inside of an international airport? How many provide extensive communication? Do they answer the phone, return emails? The answer to all of the above is: NOT MANY. Norfolk Aviation is one of the few remaining dedicated and experienced Aircraft Brokers with representatives on the ground (and in the sky) ready to make things happen for our clients. 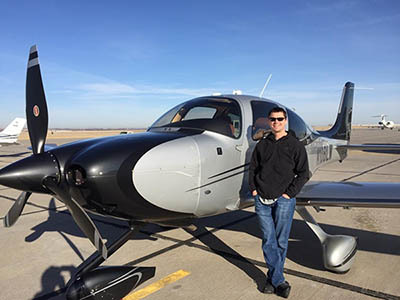 When you’re ready to sell your aircraft, its important to hire an active broker with extensive resources. Virtual brokers are typically part time, may have a good looking website and promise many things but only Norfolk Aviation will truly deliver. We’ll do a complete market analysis for the make and model of your aircraft. We use real time data and recent comparable sales. We’ll compile a complete list of your aircraft’s specifications including total times, propellors, engines, avionics and additional equipment. Norfolk Aviation will discuss your price point and create a strategic marketing plan. We will view, analyze and compile maintenance records and aircraft history so that we can have a thorough understanding of the aircraft’s condition and the ability to market your aircraft accurately. Coordinate with a professional photographer to stage your aircraft for photos. Create professional quality advertisements and specification sheets in various mediums of advertisement. Coordinate with out international aircraft brokers to ensure maximum exposure. Directly market your aircraft to over 4000 aircraft owners and interested individuals via email. Keep you updated and informed every step of the way. Greet prospective buyers and prepare your aircraft for showings in our corporate hanger. Provide negotiation services and ongoing communication until a purchase contract is agreed upon. Solicit offers from only serious buyers. Our team will compose all sale related documents, including a purchase agreement and acceptance. We will coordinate and monitor pre-purchase inspections, flight tests, and thoroughly handle any discrepancies. We’ll always assist in account set up and procedures for title and escrow, including the international registry. Communicate with all parties – including attorneys and title examiners. Coordinate the delivery of the sold aircraft, once all documents are verified and funding to the seller is complete. If the aircraft is sold to a buyer overseas, we will verify required FAA export documentation and proper registration to avoid any seller liabilities. Don’t see something on this list? …Dont worry – we do that too! During the sale of an aircraft, many unexpected things can come up. Our team will work diligently until the sale of your aircraft is finalized. Our offices are located next to the Norfolk International Airport in Norfolk, Virginia. Here you have access to a maintenance facility, avionics shop. upholstery shop, and aircraft management and other detailing services. Our proximity to an international airport allows us to easily meet with clients all over the globe. It makes it convenient for all buyers from any part of the world to view your aircraft, whether they fly privately or commercially. Choose Norfolk Aviation with Confidence!